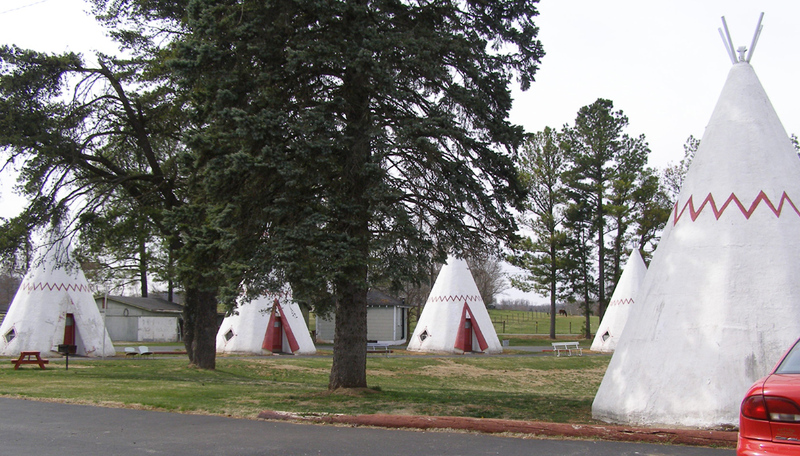 Redford patented his Wigwam Village concept in 1936 and built his second one in 1937 in Cave City. 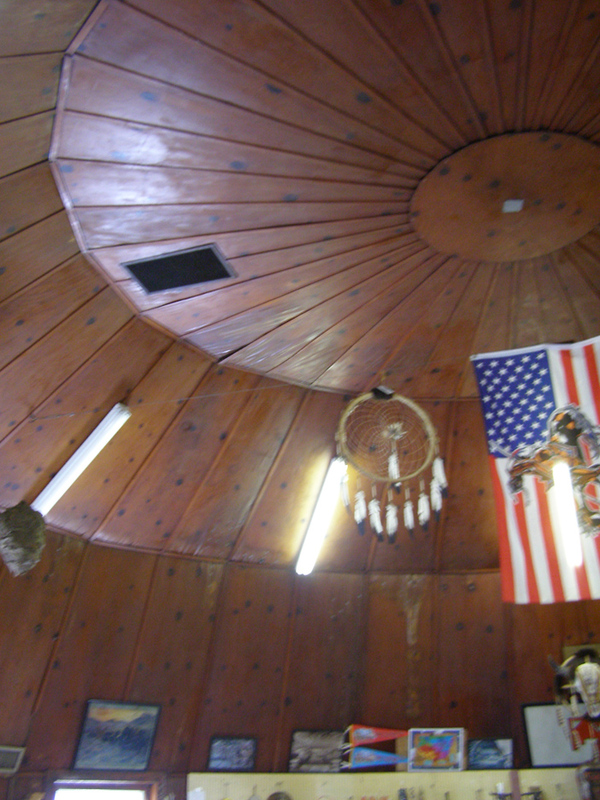 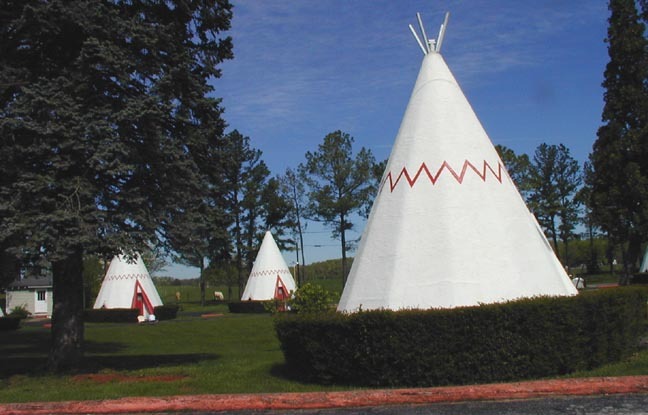 The main teepee housed Redford�s collection of Indian artifacts. 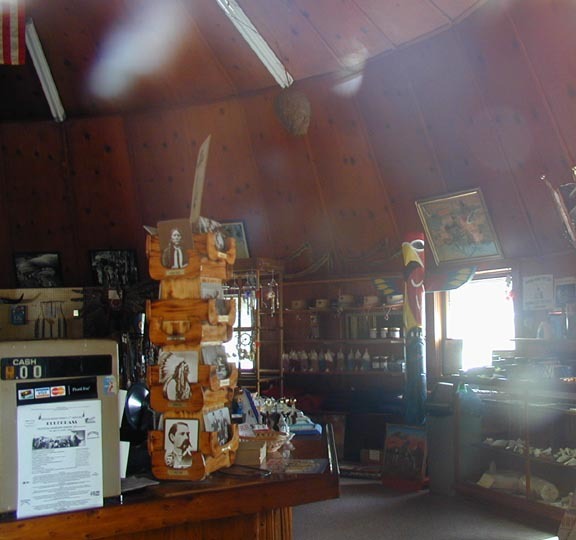 Unfortunately, new owners in the 1990s stripped the museum and rooms of their Indian relics and auctioned them off through Sotheby�s. 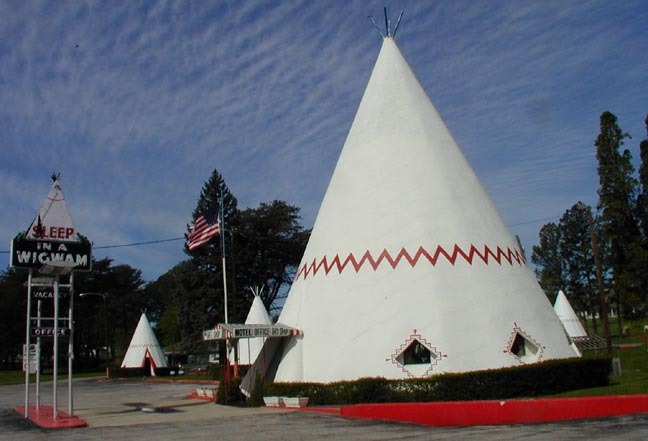 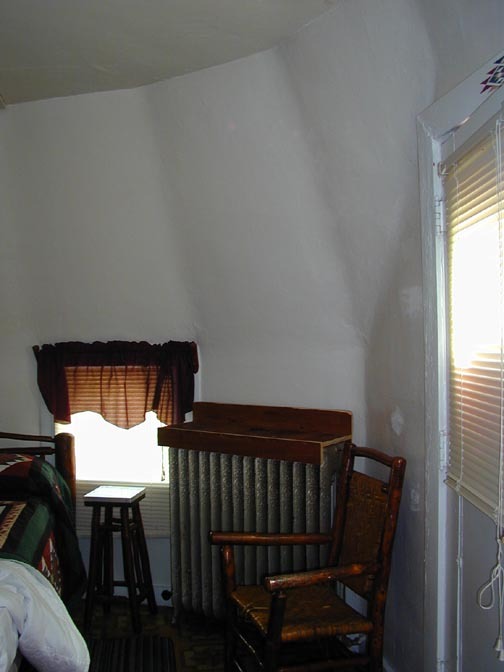 The motel was then put on the market and purchased by a local preservationist who restored the property. 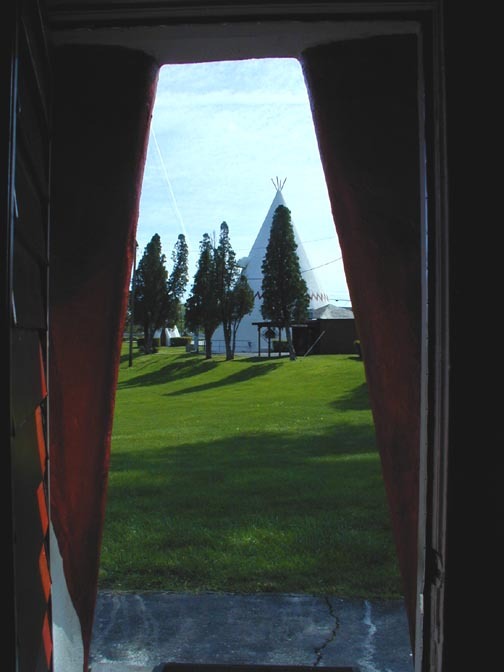 The central teepee is 52 feet tall. 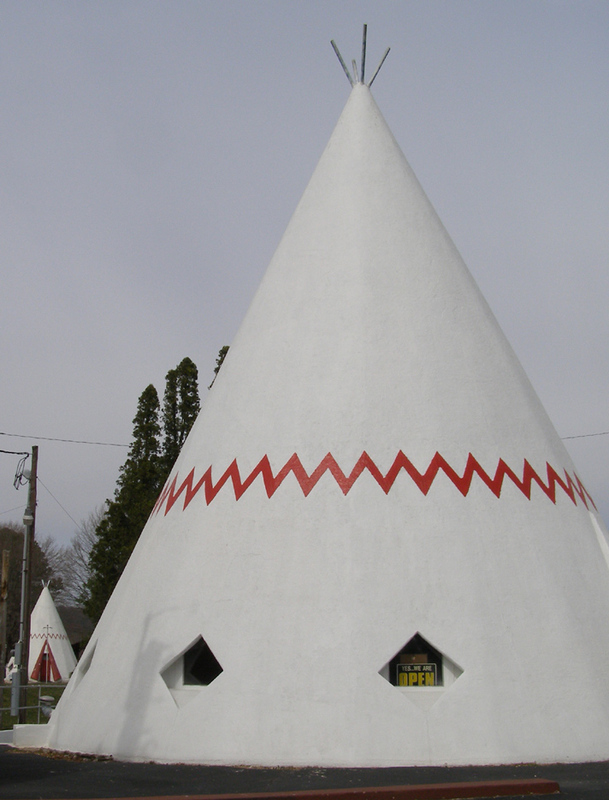 Advertisements from the 1940s claimed it was the largest wigwam in the world. 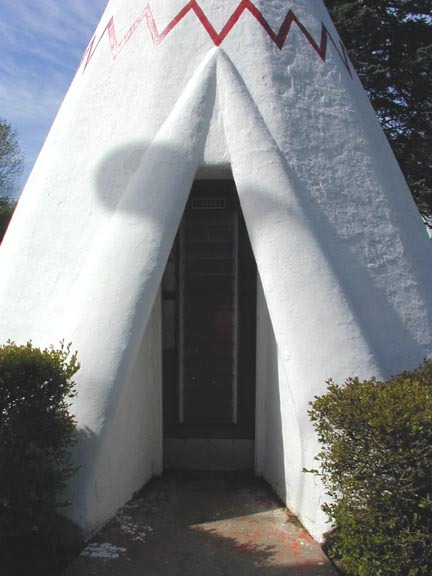 It originally contained a restaurant and gift shop, but in the mid-1960s the restaurant closed. 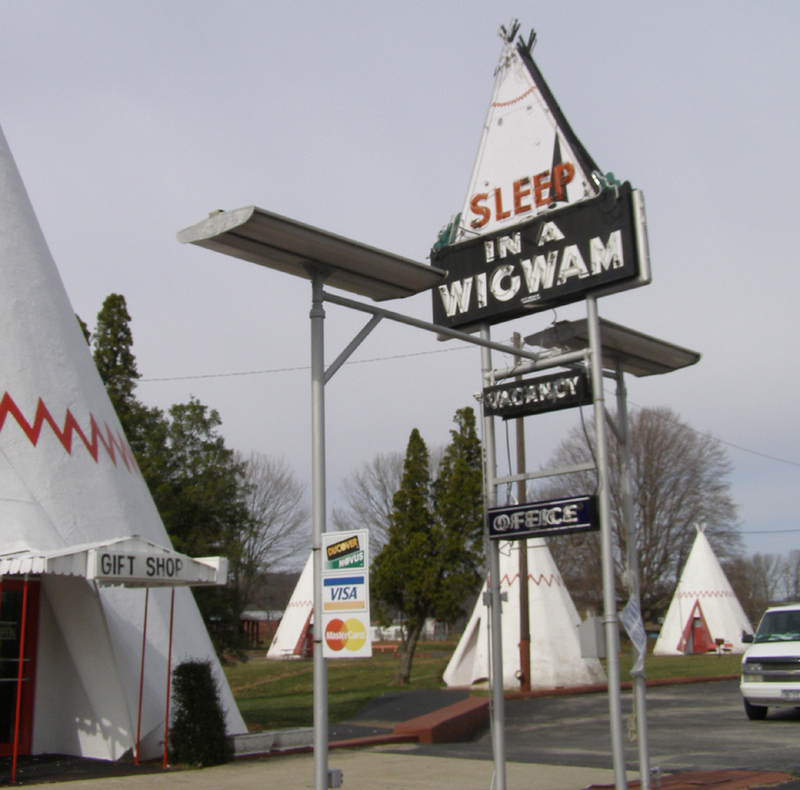 There were also Standard Oil gas pumps beneath the sign. 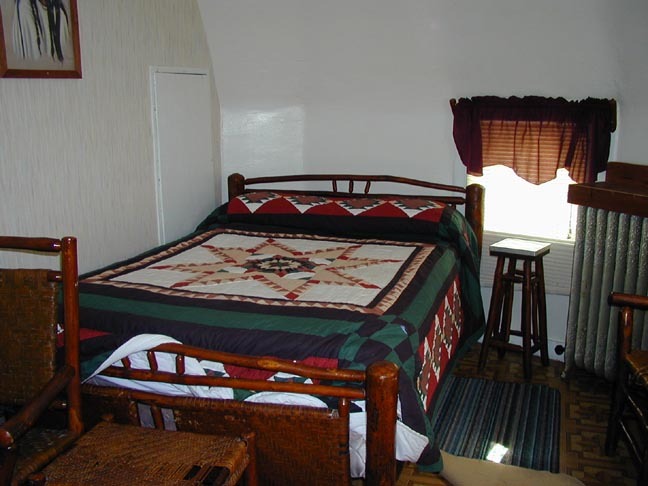 The 15 cabin interiors have been restored with hickory and cane furniture. 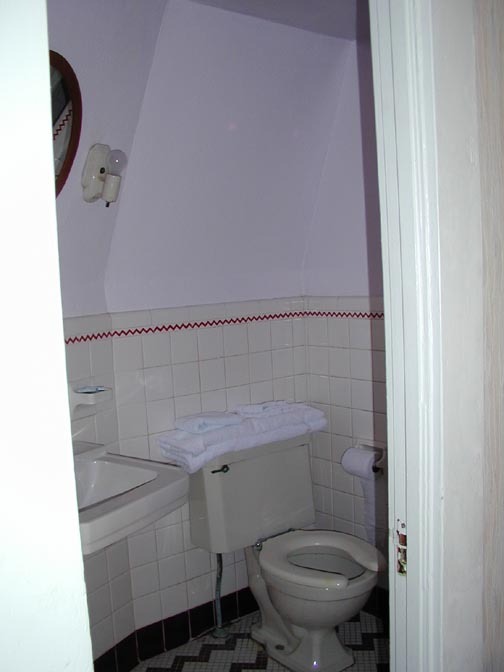 Each cabin has a bathroom and color TV but no phone service. 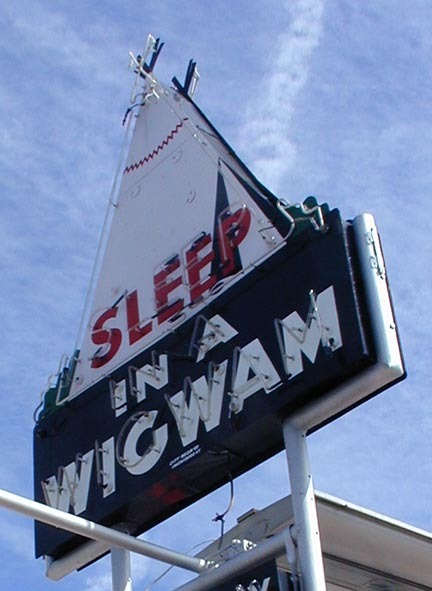 The sign originally read Eat and Sleep in a Wigwam.